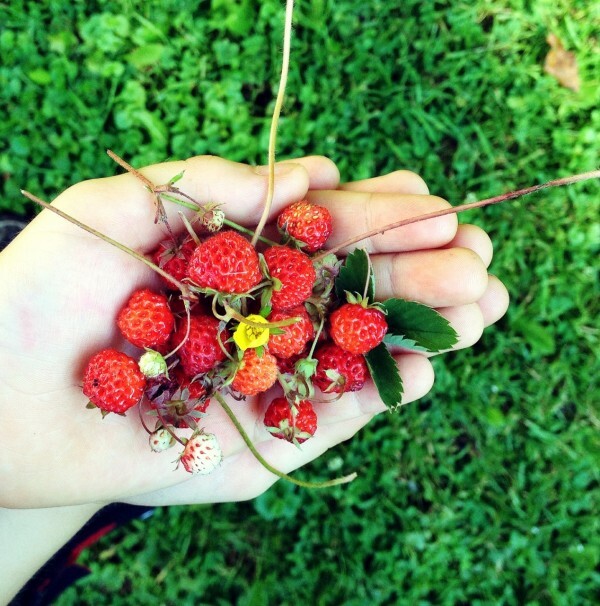 On a recent morning walk we stumbled upon a patch of wild strawberries. Later that afternoon we drove by our local strawberry U-pick and noticed it was doing brisk business. Strawberry fever is upon us, which is why half the recipes in my link love feature the sweet berry. Here’s what the #EatSeasonal ladies came up with for June. Inspiring as always! I plan to remake this fresh strawberry pie and this ice cream cake soon, too. Good thing we have a few birthdays coming up in July. 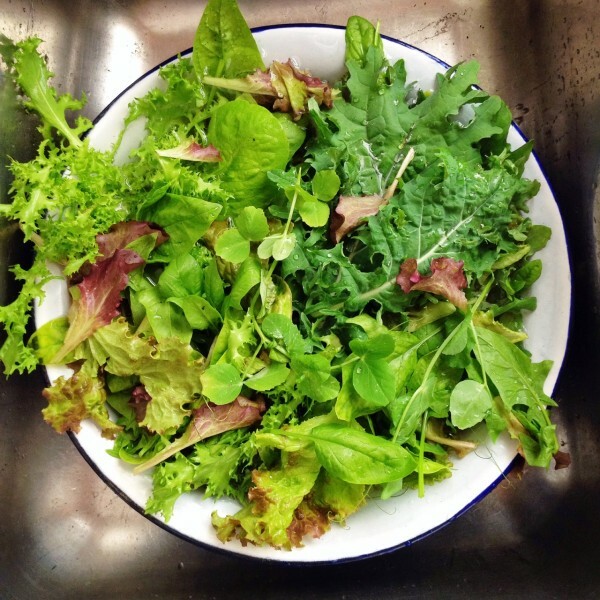 All you can eat fresh baby salad greens of all kinds. 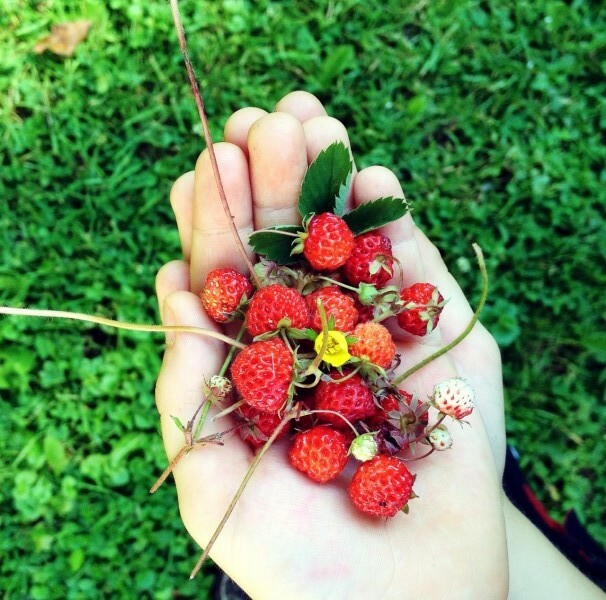 Wild strawberries picked on a morning walk and savoured one by one. 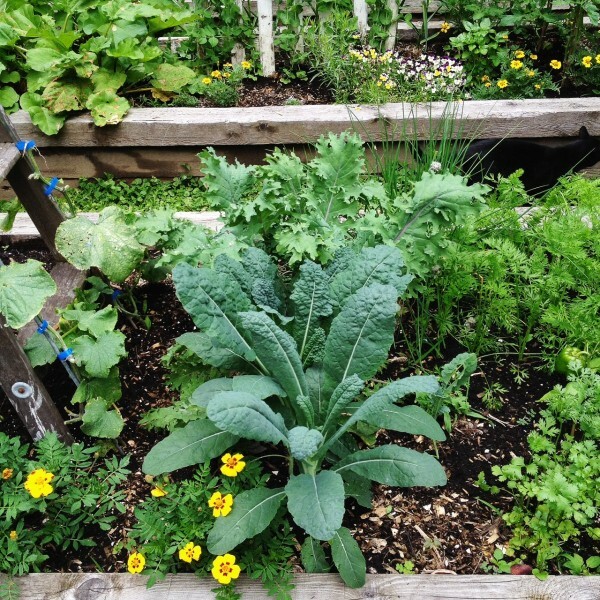 Kale springing up, tall dark and handsome. 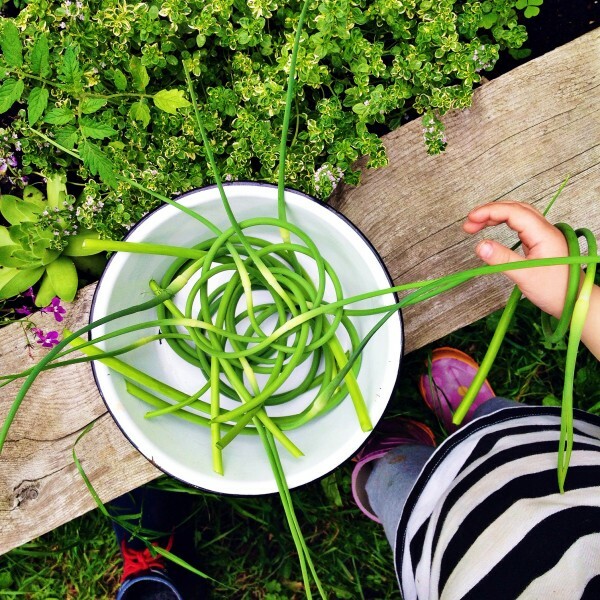 Fresh picked garlic scapes, that Clara loved to pretend were bangles. 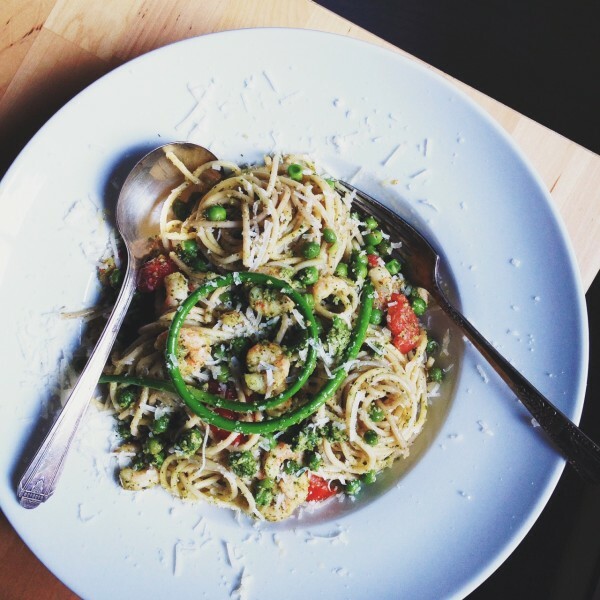 Pasta with garlic scape pesto. Dinner was delicious! 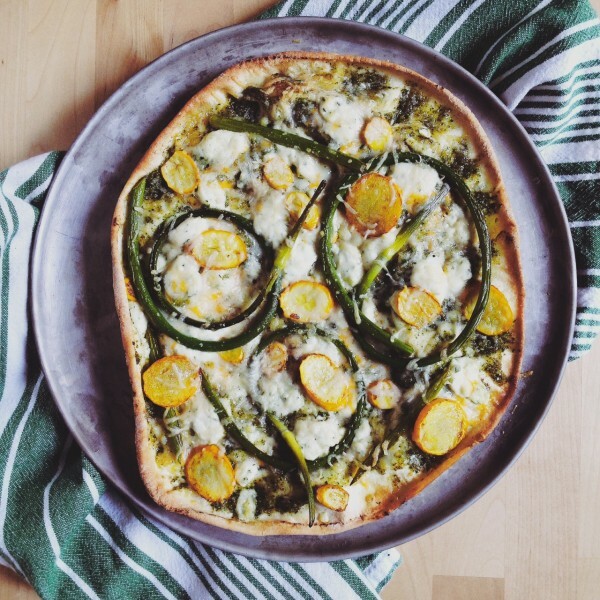 For pizza Friday…Garlic scape and new zucchini white pizza with scape pesto. We made good use of those scapes! Now we’re off for a three day camping trip where I plan to (mostly) unplug. You can catch the occasional photo of our adventures if you follow me on Instagram.